All of our potential adoptive families are required to participate in an educational program about open adoption and adoptive parenting. 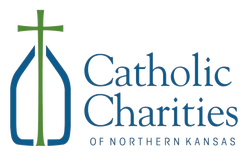 Some of the topics include: the different types of adoption, facing fears, language, birth family needs, preparing and waiting for an adoption, and talking about adoption to adopted children. 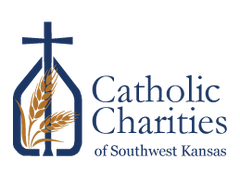 Our education goes beyond preparing you for the immediate home study process and waiting period, and helps you to be ready for your on-going connection with the birth family and the future needs of your adopted children. As part of the educational program, we recommend the resources listed below. Adoptive parents often experience the double trial of emotional responses to infertility and to the process of adoption itself, called "excruciating labor with no end in sight," by one adoptive mother. Would-be adoptive parents cycle through grief, anger, fear, anxiety, frustration, and guilt-and back again. All of these emotions cloud decision-making, at exactly the time that adoptive parents are making life-altering, irrevocable decisions: whether to adopt at all, to adopt an older child or an infant, or to parent a child with developmental delays, as well as other pressing questions. New empirical research by Kathleen Whitten, Ph.D., a developmental psychologist and adoptive mother, and other experts in the field contradicts many of the outdated myths presented to parents and written about in widely-used adoption guides. Whitten separates fact from fiction and leads parents by the hand through the many emotional impacts the process involves. Written in a reassuring, conversational tone, the author tells parents when they should listen to their heart-and when practical considerations are too important to ignore. Each chapter features workbook section with constructive exercises and stimulating questions. ​A beautiful story of one woman's crisis pregnancy, the adoption of her son, and God giving strength and direction to a woman and her child. The beauty and hope the Creator weaves through these two small lives is a compelling story of unspeakable grace. Seventeen adopting couples recount their emotion-filled experiences with open adoption ranging from occasional contact to sharing the birth experience. All found that openness gives deeper meaning to the adoption process. 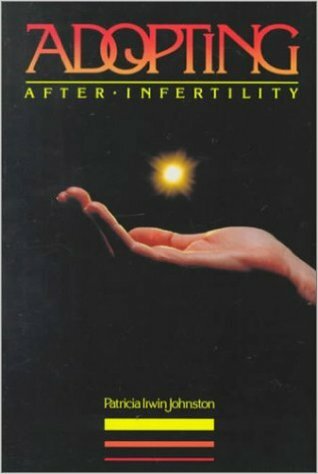 ADOPTING AFTER INFERTILITY By Patricia Irwin Johnston M.S. 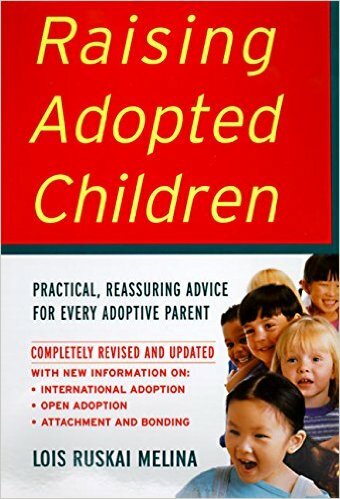 From Adopted Child (July, 1993) "While there are many books that explain the adoption process, none of them explore with much depth the issues that adoptive parents must deal with before making choices about what type of child and what type of adoption to pursue. Adopting after Inferitlity fills that gap remarkably well. It provides the kind of information that should be found in every pre-adoption class... Johnston, who is well known in the infertility and adoption communties for her work in those fields, is the natural choice for a book of this type. Her chatty style makes for easy reading, so there is no excuse for every parent considering adoption not to read this important book. From Serono Symposia's Insights into Infertility Newsletter (Winter, 1992), and reprinted in The New Social Worker (fall, 1994)..."People making the decsion to build a family through adoption after infertility must revise and reintegrate the ideas about parenthood that have been forming since childhood. Johnston recongizes this better than most. Acknowledging that some things in life remain ambivalent and ambiguous, she never attempts to make something understandable or tolerable by resorting to reductionist thinking. By refusing to trivialize a complex life experience, Ms. Johnston demonstrates the sophistication of her thinking and the genuine regard she has for her audience... 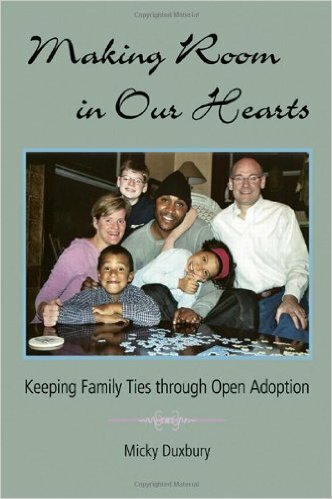 This book is must reading, not only for people considering adoption, but also for those who seek to help them." From Pact Press (Winter 1994)...This clear, simple guide acknowledges that adoption may not be the right answer for everyone. This book is not only thorough, it is flled with the forthright opinions of the author. .. Though this book explores the losses associated with infertility in a clear way, the writer does not let her readers wallow. She offers the Chinese concept of crisis, consisting of danger and opprtunity as a better model. People stuck in victim behavior willlearn how loss obstructs decision-making, and, more importantly, how to move forward...It is essential reading if you are considering adoption after facing the challenges of infertility... lively and easy to understand." Two leading experts provide an authoritative and reassuring guide to issues and concerns of adoptive and birth families through all stages of the open adoption relationship. By Kathleen Silber MSW and Phylis Speedlin, Esq. 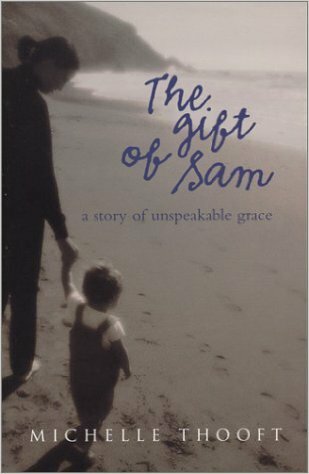 - This gently provocative, warm and convincing open adoption classic recommended by the Child Welfare League of America includes actual letters between adoptive parents and birthparents, and between the latter and the children they have. 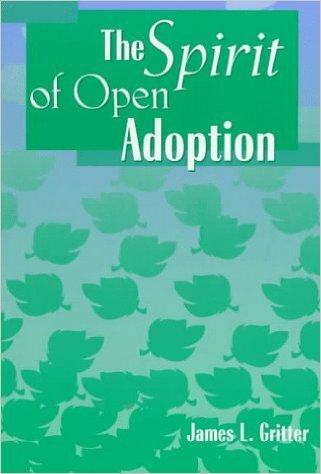 THE SPIRIT OF OPEN ADOPTION By James L Gritter: An outspoken and ardent advocate for openness in adoption, James Gritter writes of the need for members of the adoption triad to emphasize services that first and foremost benefit adoptees. Open adoption serves children first by reversing the traditional hierarchy -- by treating adoptive families as resources for birthfamilies. Adoptive parents, birthparents, and adoptees come together in a spirit of extended family that helps them replace the fear, pain, shame, and loss of adoption with honor, respect, and reverence. Drawing on the profound insights of contemporary thinkers in the fields of adoption, theology, philosophy, and literature, Gritter guides the reader along a spiritual journey that explores the candor, commitment, community, and cooperation that define successful open adoptions. 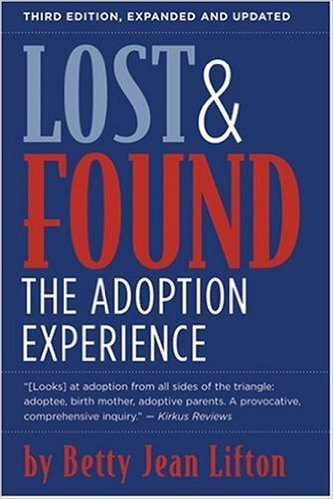 LOST AND FOUND: THE ADOPTION EXPERIENCE By Betty Jean Lifton: The first edition of Betty Jean Lifton's Lost and Found advanced the adoption rights movement in this country in 1979, challenging many states' policies of maintaining closed birth records. 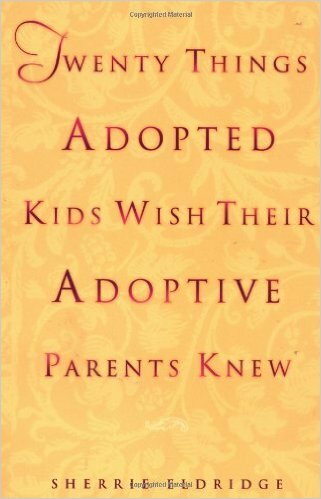 For nearly three decades the book has topped recommended reading lists for those who seek to understand the effects of adoption---including adoptees, adoptive parents, birth parents, and their friends and families. 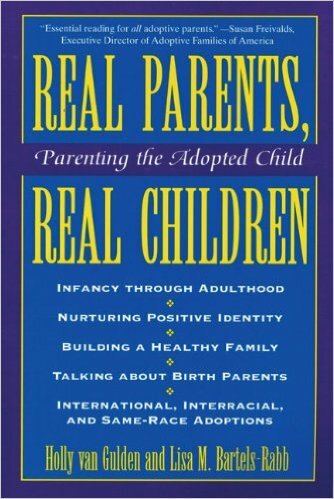 REAL PARENTS, REAL CHILDREN By Holly van Gulden and Lisa M Bartels-Rabb: Required reading for adoptive families, those considering adoption, or professionals in the field. This practical, informative book covers topics of vital importance to adoptive parents with sensitivity and insight. The authors bring years of experience to the complex emotional issues that parents will negotiate, and expert advice on establishing a healthy, loving parent-child relationship. PARENTING YOUR ADOPTED CHILD By Andrew Adesman M.D. : Parents of adopted children face some unique challenges in addition to all the “regular” issues that come with being a parent. Parenting Your Adopted Child provides helpful tools that enable families to understand and counter common myths about adoption that may be harmful to their children. It also clearly demonstrates how parents can effectively tailor their parenting approach to suit their child’s distinct needs. James Gritter is not a birthparent, but he certainly empathizes with them as he describes how it FEELS to be a birthparent: marginalized, feared, misunderstood, and sometimes, even shamed. The book ends with a simple list of ways that adoptive parents can honor and respect their child's birthparents. In the end, the message is simple: both sets of parents love and want what's best for the child. When both birthparents and adoptive parents work together in a true open adoption, beautiful things can happen. Making Room in Our Hearts by Micky Duxbery, 2007. Adopted persons face challenges their entire lives as they struggle to answer the most basic question: Who am I? The hope of open adoption is that adopted children will develop stronger identities if they have the opportunity to develop healthy ongoing relationships with their families of origin. Making Room in Our Hearts offers an intimate look at how these relationships evolve over time, with real-life stories from families who have experienced open adoption first-hand. This book helps both adoptive and birth parents address their fears and concerns, while offering them the support to put the child’s psychological and spiritual needs at the center of adoption. 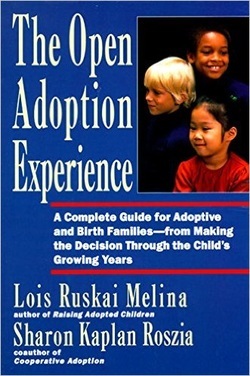 Based on interviews with more than one hundred adopted children, birth and adoptive parents, extended families, professionals and experts, the book is an effective and invaluable resource for those considering open adoption, those experiencing it, and professionals in the field. Openness has altered the landscape of adoption, and Making Room in Our Hearts will help us catch up to the reality that is open adoption today. 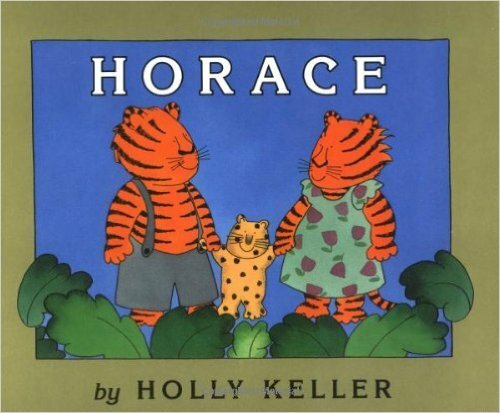 HORACE by Holly Keller: ​"Horace is adopted. He is also spotted, and he is loved and cared for by his new mother and father--who are striped. But...Horace feels the need to search out his roots...Keller deals with a sensitive subject in a way that is perceptive but not sentimental." --Publishers Weekly. "A first choice for those families seeking a low-key, reassuring book about adoption--and one that is fun to share as well." --Horn Book. Ages 2-8. 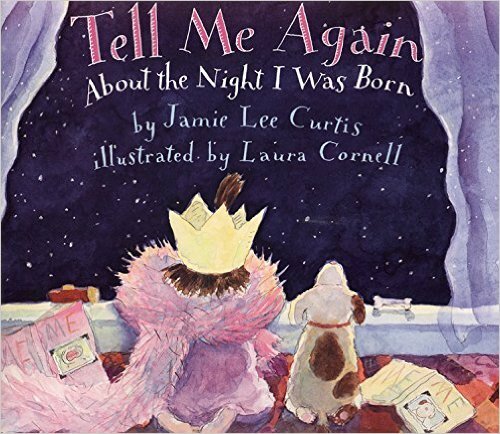 TELL ME AGAIN ABOUT THE NIGHT I WAS BORN: Jamie Lee Curtis and Laura Cornell, author and illustrator of the best-selling When I Was Little: A Four Year Old's Memoir of Her Youth, have joined together again to create a fresh new picture book for every parent and every child. In asking her parents to tell her again about the night of her birth, a young girl shows that it is a cherished tale she knows by heart. Tell Me Again About the Night I Was Born is a unique, exuberant story about adoption and about the importance of a loving family. Ages 2-8. ​DID MY FIRST MOTHER LOVE ME? By Kathryn Ann Miller: When young Morgan asks, "Did my first mother love me?" her adoptive mother reads her a letter written by Morgan’s birth mother. This birth mother’s love, concern, and caring for her child come through loud and clear as she explains the kind of life she wants for her child. Sadly, she explains, she cannot provide that life for her child, so she has given her a different set of parents. “My dearest child, to your parents I have given the precious gift of you,” she writes. Ages 4-8. 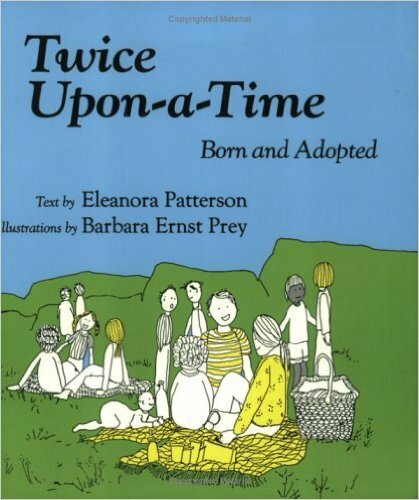 TWICE-UPON-A-TIME By Eleanora Patterson is a unique adoption resource for young children, 3-8 years, and their families. Conception, birth and curiosity about birth parents are discussed as part of adopted children's stories. The book encompasses diverse adoption experiences using a text and line drawings that are simple, direct and affirming. Ages 4-10. ​WHY WAS I ADOPTED: THE FACTS OF ADOPTION AND LOVE AND ILLUSTRATIONS By Carole Livingston: Celebrating its 20th year in print, this classic provides parents with a tool for helping their child understand the circumstances of their "birth" into an adoptive family. 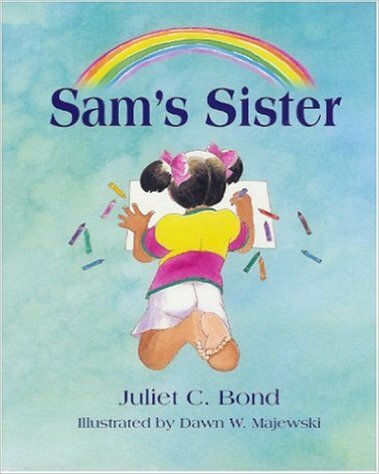 The book explains away much of the initial confusion, instills a feeling of uniqueness in an adopted child, and encourages open lines of communication with the adoptive parents. Full-color illustrations throughout. Ages 4-12. 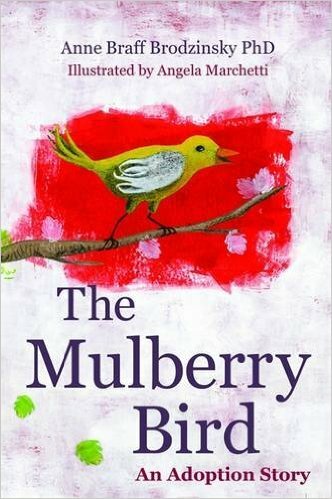 THE MULBERRY BIRD By Anne Braff Brodzinsky: ​Mother Bird is looking after her baby bird in the forest, when a huge storm scatters her nest. Try as she might, she just can't give him the protection he needs. She faces a choice: continue to struggle on her own, or give her precious baby bird to another family who can care for him in their strong, secure nest. In this classic adoption picture book for children, common issues in adoption are addressed—from the enduring force of a birth parent's love and contact post-adoption to the importance of nurturing an adopted child in his or her new environment. It is a timeless and enduring tale of sacrifice, wisdom and love. This book is ideal for reading aloud with adopted children aged 4–12 and their siblings, whether at home or in school. 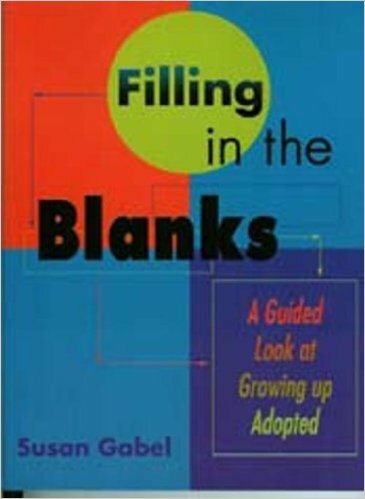 ​FILLING IN THE BLANKS By Susan Gabel: Designed to be used by a young teen with an adult helper, this lifebook/workbook depends upon a trusting relationship between that helping adult and the adopted person to provide a safe and empowering dialogue for sorting out difficult feelings. Ages 10-Adult. 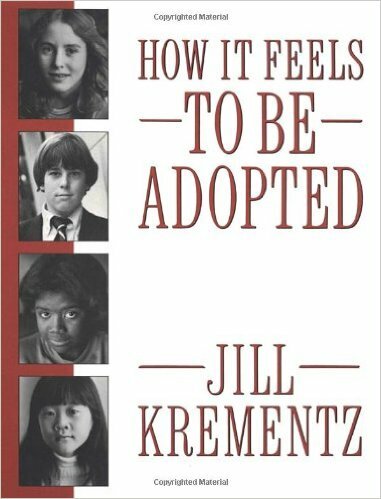 HOW IT FEELS TO BE ADOPTED By Jill Krementz: ​19 boys and girls, from age 8 - 16 and from every social background, confide their feelings about this crucial fact. Pre-Teens. 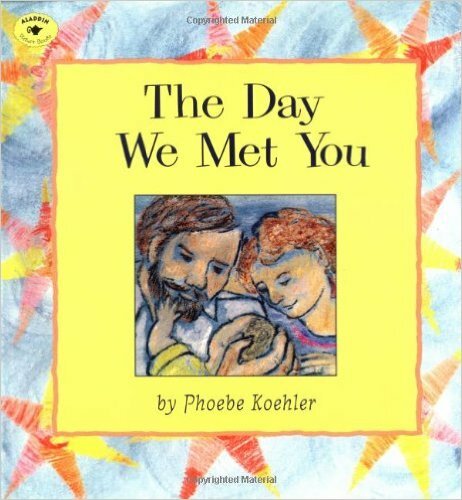 The Day We Met You by Phoebe Koehler, 1997: boys and girls, from newborn to age four. Step by loving step, a couple prepares their home for the arrival of their adopted baby. "When the happy couple holds their smiling infant for the first time ... the joy is almost palpable". -- Publishers Weekly. "Adopted children love to hear their homecoming stories over and over, and this is a perfect book to encourage such retellings". -- School Library Journal.Includes an Afterword that provides parents with guidance about how and when to explain adoption to their children. An Adoption Story: How I Became a Big Brother and How I Became a Big Sister by Dave Moore, 2008 for children ages two to five. "How I Became A Big Brother" and "How I Became a Big Sister" are children's books that explain adoption to young children. They are simple stories of how a little boy/girl who doesn't have any siblings all suddenly becomes a big brother or sister to an adopted child. The story is told from the point of view of the toddler, and touches on many of the concerns and fears that a child might be experiencing when their family decides to adopt. This book is a must read for anyone who is considering adoption of another child when they already have young children. 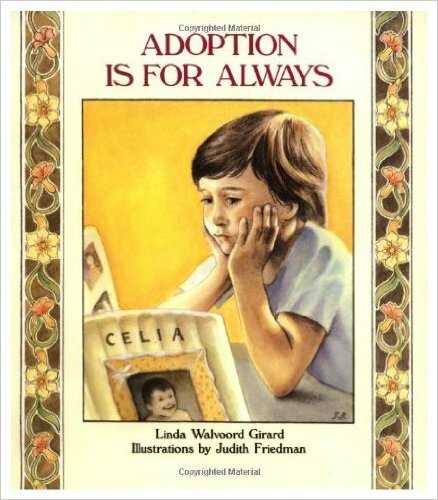 Adoption is For Always by Linda Walvoord Girard, 1986. For children seven to ten. From School Library Journal: "Kindergarten-Grade 3 Celia (who appears to be five or six years old) has always known that she was adopted, but she is just beginning to understand the significance of the word. Although her parents deal with her questions with honesty and love, Celia experiences a confused mixture of fear and anger. Was she given up because she was bad? Would her birthmother come and take her away from her adoptive parents? Her parents and teacher stress the love that her birthparents felt for her, as well as how much she is loved and wanted by her adoptive family. In addition to her birthday, Celia and her parents decide to celebrate her adoption day each year. This well written book succeeds as a story as well as bibliotherapy. Information a young child can understand about adoption is skillfully integrated into the text. Expressive pencil drawings within colored borders enhance the story. 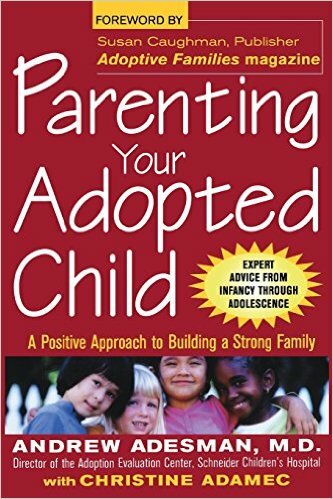 One of the best titles about adoption available for young children. Marguerite F. Raybould, Glendale Public Library, Calif."
Sam's Sister by Juliet C. Bond 2004. For children ages five to ten. From School Library Journal: "Kindergarten-Grade 2-Rosa's mother explains to her that she is pregnant with a child for whom she can't provide. Instead, she knows of a couple who will "help us take care of the baby." When the infant is born, Rosa and her mom get to pick Sam's middle name-Querido, which means "wanted" in Spanish. After the adoptive parents take the newborn home from the hospital, they stay in touch with his birth family, who eventually visit the baby. Rosa misses him, but she knows that, "Sam is where he should be. And even though he doesn't live with Mommy and me, we will always be part of his family." The text is straightforward and sensitively written."